These intricate and beautifully detailed line drawings of the world of birds are ready for you to bring to life. Relieve stress, practice your mindfulness, and discover your creative side as you unplug and slow down by filling these exquisite pages with color. No matter our age, useful mindfulness techniques can help re-center us amidst a world of noisy stimuli constantly vying for our attention. 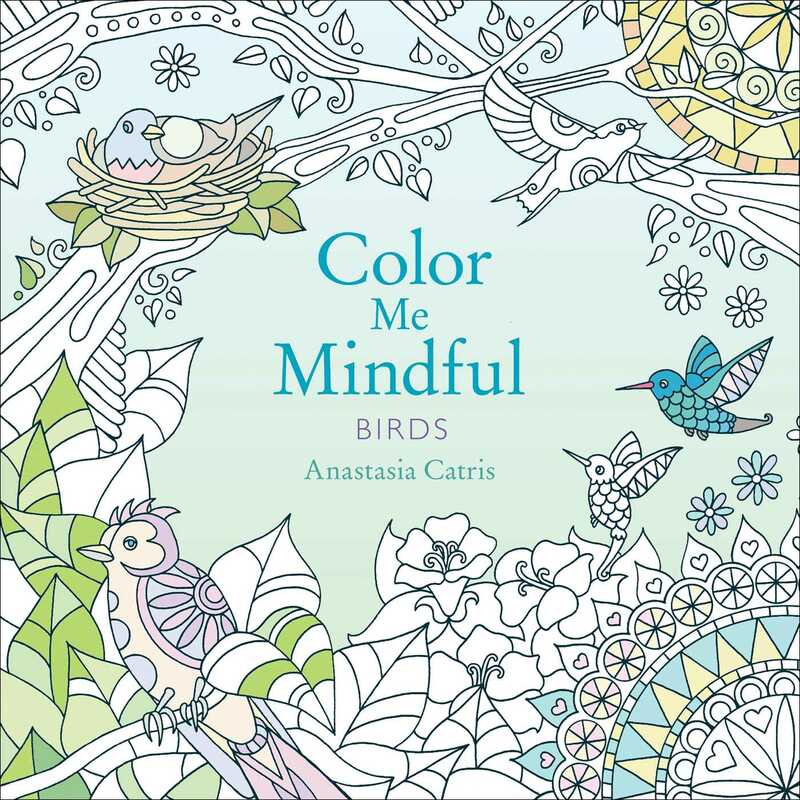 Coloring can act like a tranquil meditation—relax and unwind with this calming coloring book for adults featuring beautifully detailed line drawings and designs of birds and their idyllic environments. Make your mark—inside or outside the lines—with these fifty beautiful black and white illustrations of birds soaring through the sky, nesting comfortably, and resting serenely amidst the tree foliage, just waiting for your gentle touch to bring them vibrantly to life. Don’t miss the other adult coloring books in the Color Me Mindful series: Color Me Mindful: Underwater, and Color Me Mindful: Tropical, Color Me Mindful: Seasons; Color Me Mindful: Enchanted Creatures, and Color Me Mindful: Butterflies. Join the coloring craze!